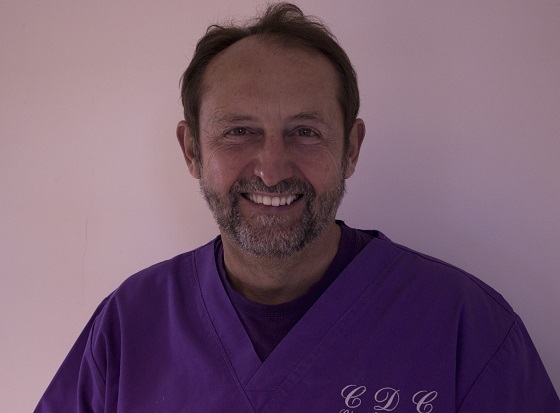 Dr Nathan Turner is qualified to place implants. 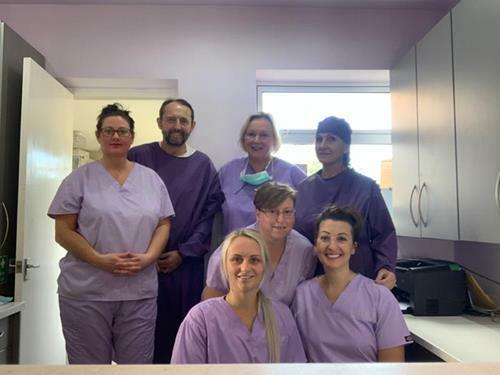 Clent Dental Care choose to use Straumann & BTI implants due to their extensive research and clinical data back-up, thus guaranteeing the highest success rates and longevity. What is a dental implant? 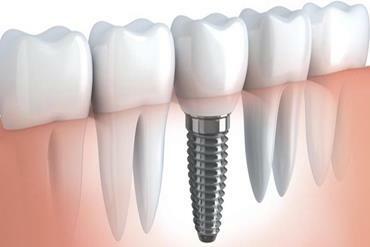 Dental implants are a titanium metal root which is placed into the jawbone. 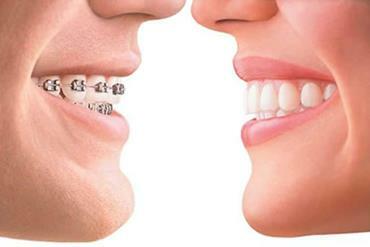 It is used to support one or more false teeth. In practice, both the false teeth and their supporting root are known as implants. 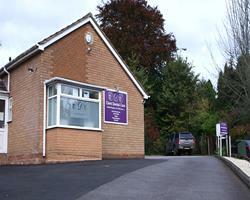 Implants are a well-established, tried and tested treatment. Over 99% of modern implants should last many years with the right care. Implants are not always used to replace teeth; this all depends on the condition of the bone in the jaw. You will not feel any pain during the treatment taking place, but you may feel some discomfort after the implant for a couple of days. After the implant there is some after care that needs to be put in place. We will give you antibiotics to make sure no infection occurs, some chlorhexidine gluconate mouth wash to keep the area clean and will recommend taking some pain relief. For the few days after we recommend taking it easy. It’s important to keep the area clean by brushing gently with your tooth brush. The next stage for an implant is waiting for the bone to attach itself, this usually takes 3 months. Following this we will then put a healing abutment on the implant to allow the gum to form an area for the implant crown to sit on. 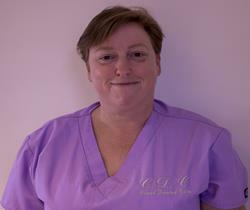 Once the whole treatment is complete you then treat the area like a normal tooth by; brushing, rinsing and flossing. If you have 2 or more teeth missing in the same area you don’t have to have individual implants in the spaces, by this we bridge across. 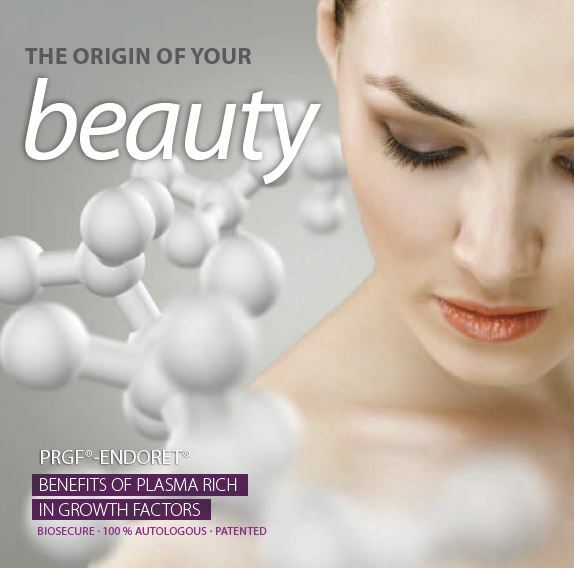 ◊ Implants are the most natural solution for looks and function. ◊ fit harmoniously into the dental arch. ◊ cannot be distinguished from real teeth in function and appearance in daily life. ◊ provide a stable foundation for the denture. They spare patients the disadvantages of conventional dentures with problems such as pressure points and poor fit The palate is not longer covered by plastic denture material, which has a positive effect on speech and the sense of taste. ◊ makes it unnecessary to grind the neighboring teeth. ◊ can prevent bone shrinkage. 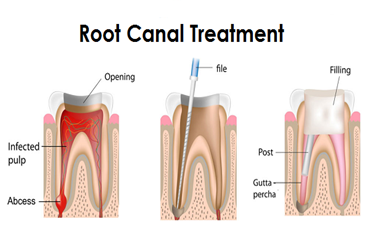 Like natural tooth roots, implants transmit chewing forces evenly to the jaw bone. This is stressed during chewing, just like with natural teeth, so it preserves its natural shape. If this stress is absent, as with conventional solutions, the jaw bone shrinks slowly. 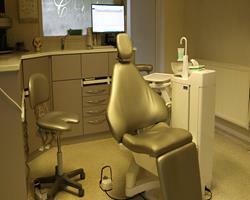 When can dental implants be used? ◊ When disease leads to tooth loss. ◊ Whether young or old, severe gum or root inflammation, caries and other diseases can cause tooth loss. 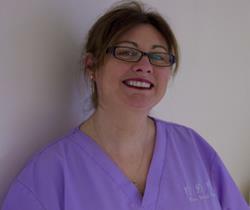 In these cases, dental implants are a useful alternative to restore the former appearance. ◊ When an accident leaves a tooth gap. ◊ Whether in sport or ordinary life, a small accident leading to loss of one or more teeth happens fast. 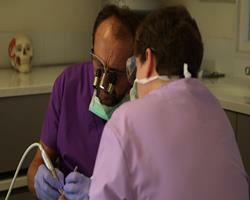 Here, too, dental implants restore the natural appearance and function. In individual cases, implants can even be inserted immediately after an accident, depending on the damage to the surrounding tissue. ◊ When teeth have been missing since birth. ◊ Tooth gaps can also be due to congenital absence (born with). If teeth have not developed or have grown incompletely, dental implants provide a solid foundation for a denture. Who are dental implants suitable for? For nearly all age groups. Dental implants can be used as soon as jaw growth is complete. Apart from this restriction, implants can be the optimal solution for all age groups. The basic requirements for successful implantation are a good general state of health, good oral hygiene and adequate bone quality and volume. If there is not enough bone we can use a specialist bone grafting material to ensure stability of your impalnt. 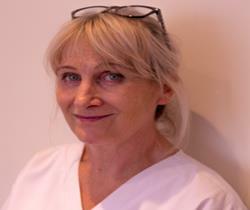 Dr Turner will assess this at your initial consultation. Detailed discussion, diagnostic investigations and planning are crucially important. Whether implants are the best solution in an individual case can only be determined by detailed examination and discussion with your dentist. If all the medical requirements are met, careful treatment planning by the dentist is also required if an optimal and long-lasting outcome is to be achieved. Just like natural teeth, teeth on implants also require regular check-ups and conscientious oral hygiene. Appropriate care, together with careful treatment planning and correct insertion of the implant, is one of the most important requirements for long-term success. 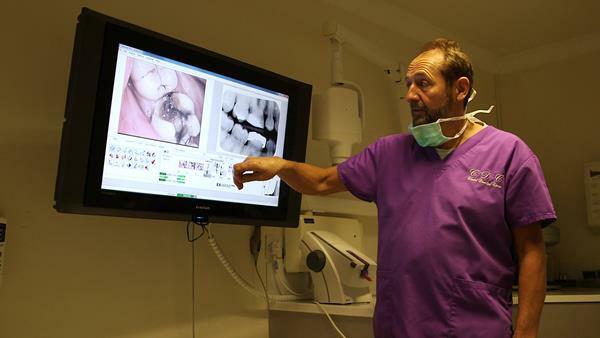 How Much does an implant cost? The treatment and the associated costs depend on different factors and are very variable. 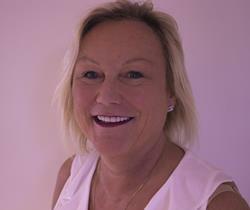 ◊ the type of restoration chosen: Crown, Bridge or Denture. ◊ building up the bone (only needed in special cases) The individual treatment and cost plan will give ALL DETAILED INFORMATION. The implant takes over the function of the tooth root and transmits the chewing force from the tooth crown to the jaw bone. 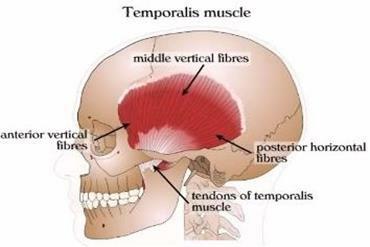 This natural stress keeps the jaw bone good so that it does not shrink. 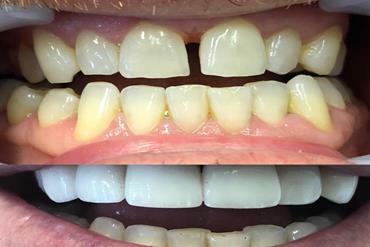 However, a new tooth is not only intended to fulfil its natural function but will be indistinguishable in appearance from the neighboring teeth. IMPLANT teeth not only look like your own teeth, they also feel like them. 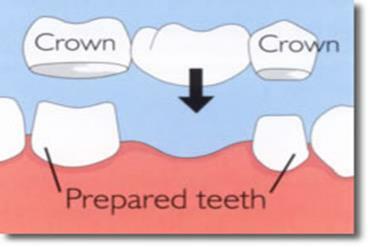 The implant, crown and gums form a harmonious unit. 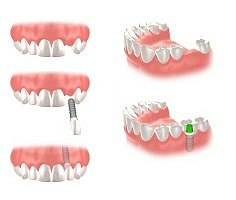 The dental implant replaces the lost tooth root and acts as a post for the implant crown. Grinding the neighboring teeth is not necessary so healthy tooth substance is preserved. In order to prevent bone loss and malposition of the teeth and jaw, a gap involving several teeth should be closed rapidly not only from the functional aspect but also from the medical aspect. The individual situation determines the number of implants used. A major advantage of implant bridges is that the healthy neighboring teeth do not have to be ground. From the visual aspect, too, implant bridges are a better alternative as they end optimally at the gums in most cases. Implant dentistry offers removable dentures and non-removable rows of teeth to restore completely toothless jaws. Dentures on implants offer secure hold in any situation. The chewing forces are transmitted to the bone. 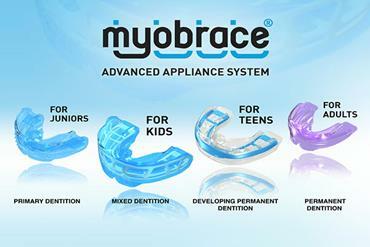 This prevents bone shrinkage and thus ensures optimal denture fit in the long term. With implant-anchored prostheses, there are no painful pressure points. The palate remains free from false material. The sense of taste and thus enjoyment of eating are not impaired. The most attractive-looking solution for toothless jaws is a row of teeth fixed with screws. 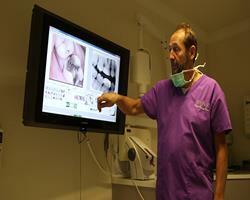 It is fixed directly to the implants and usually ends harmoniously at the gums. After detailed diagnostic investigations and treatment planning, implants are inserted in the jaw under local anesthetic as an outpatient procedure, or under general anesthetic if preferred. If the available bone volume and bone quality are insufficient, the bone can be built up. During the following healing period, the jaw bone knits firmly with the implant to form a secure base for the new teeth. During the healing period, a temporary denture fills the gap until the final denture is inserted. As soon as healing is complete, the new teeth are screwed or cemented to the implant post. In a few cases, it is also possible to insert the final denture immediately after insertion of the implant or implants. Your dentist will decide if this is an option. The success of your Implants depends upon your co-operation. 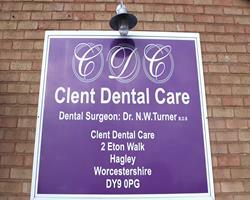 Please contact Clent Dental Care to make an Appointment or for further information.